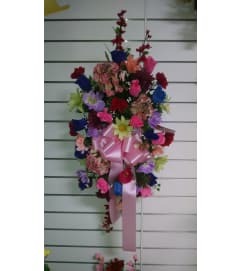 This beautiful silk arrangement comes displayed in a white plastic funeral basket. It has a strong cement bottom to hold it in place at the grave site, even in the wind. Honor your loved ones memory with this beautiful arrangement from R&S Crafts and Florist. 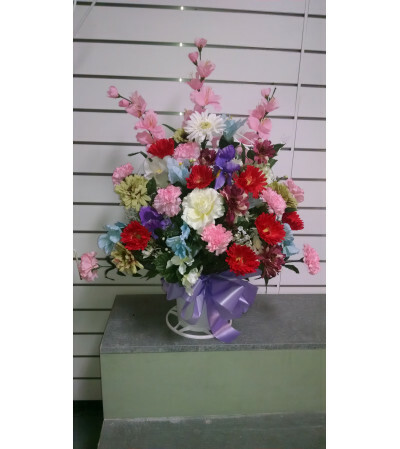 All arrangements come in Summer, Fall, Winter and Spring colors or as seen in the picture.